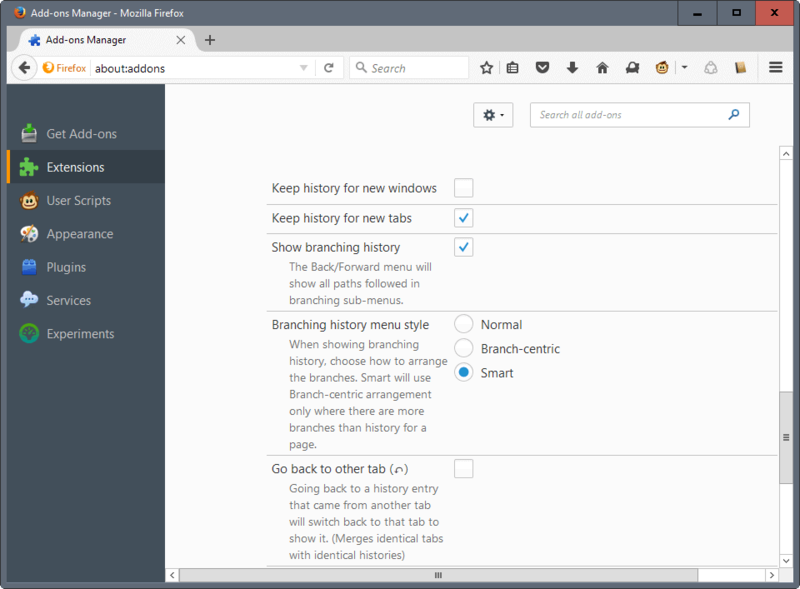 BackTrack Tab History is an add-on for the Firefox web browser that copies history from tabs when you open links in new tabs. All modern web browsers support tab-specific histories. What is meant by that is that they record a certain number of sites that were opened in a tab in the past. This provides users with options to go back to a previously opened site using the back button, and also navigate ahead again using the forward button. 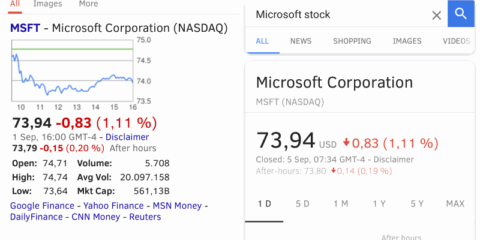 The history is not copied however when links are opened in a new tab. You can try it right away. Open any site in your browser of choice, and click on a couple of links. Once you have visited a few pages, middle-click on a link to open it in a new tab. You will notice that back is not active; that’s because the history is not retained across tabs. Side note: Mozilla is working on something similar. Trails is a lossless web navigation experiment that may find its way into Firefox directly. 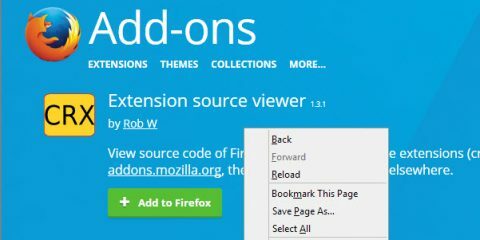 The Firefox add-on BackTrack Tab History changes that by copying the “back” entries so that they become available when you open links in new tabs. This allows you to go back to the originating site using the back button. The history of the parent tab, and the history of child tab are accessible then when you right-click on the back button, and when you activate the button. If you are a long-standing Firefox user, you may remember that the Firefox add-ons Tab History and Tab History Redux offered similar functionality. 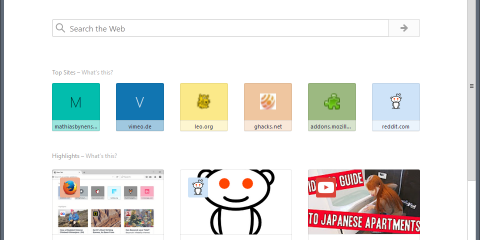 Tab History has last been updated in 2009 and is probably no longer compatible with recent versions of Firefox. Tab History Redux was pulled by its author, and is no longer available at all. BackTrack Tab History has more to offer however than just copied history information from the parent tab. The Firefox add-on lists parent history information as a branching history. So, instead of getting things mixed up, you get a clear picture of the history without things becoming too complicated or messy. You can see how that looks like on the screenshot above. The feature works when new tabs are created by default, but you may enable it for new windows as well. Open the add-on’s settings to enable the option. You may enable the “go back to other tab” option as well there. This activates the tab you came from when you select one of the history entries that originated from it. BackTrack Tab History is a well designed add-on for the Firefox web browser that fills out the gap left by the abandonment of the two Tab History add-ons. 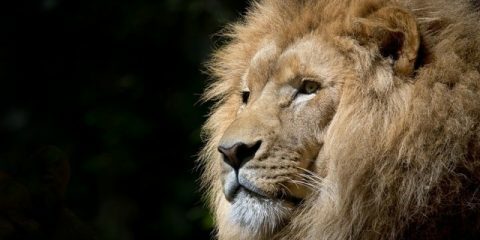 While Mozilla is working on a similar feature, it is currently just an experiment that may or may not be included in Firefox natively in the future. You should give it a try if you want the Firefox web browser to retain history information from parent tabs. Now You: How often do you use the browser’s back or forward history functionality? The post BackTrack Tab History add-on for Firefox appeared first on gHacks Technology News.